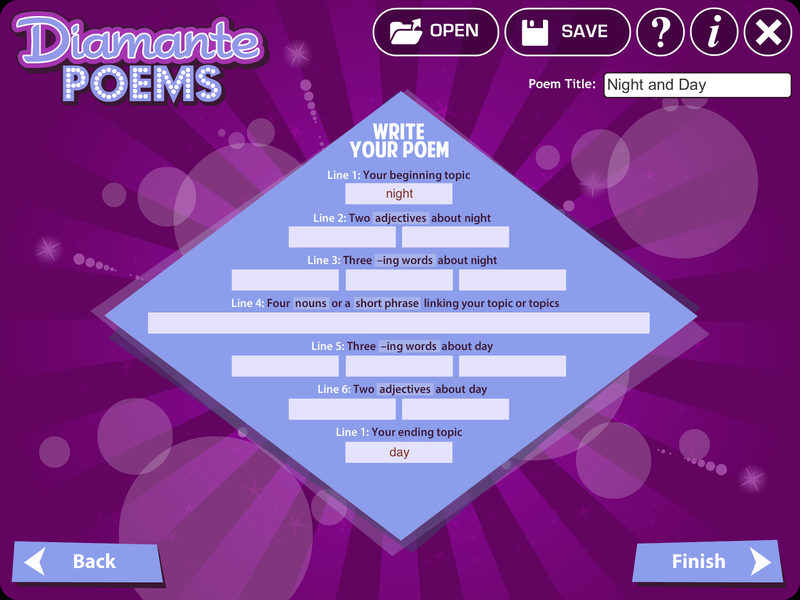 Acrostic Poem, Diamante Poem and Theme Poem are 3 more apps from the International Reading Association and http://readwritethink.org. 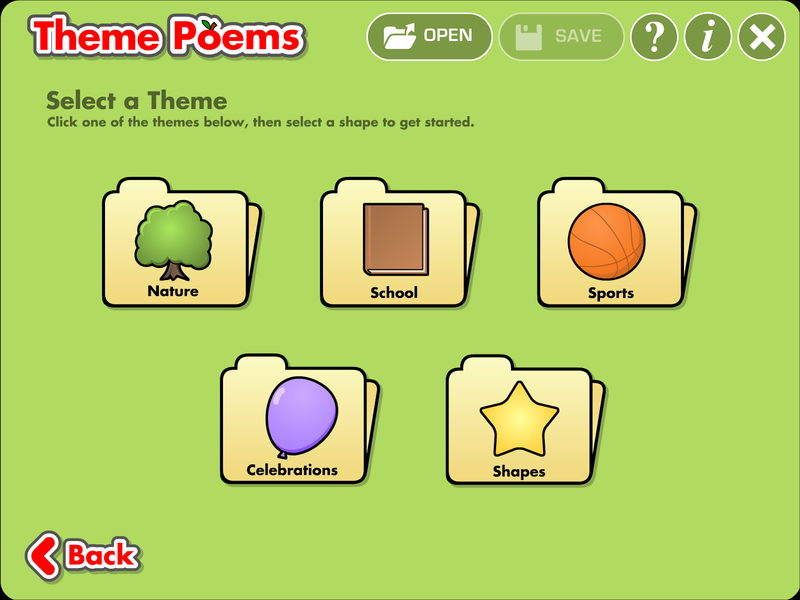 The final product from all of these apps can be "smashed" or "layered" into another app to create a more complex product. 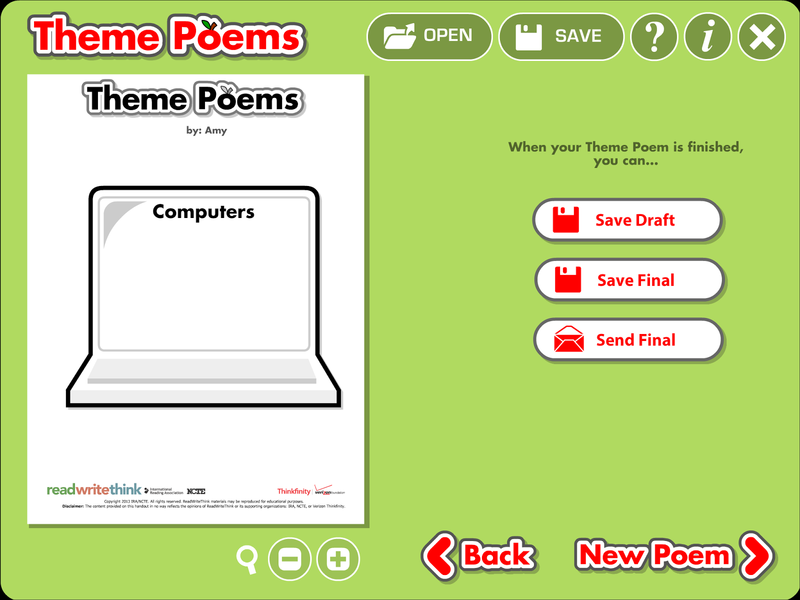 For example... create a variety of poems, save to the camera roll and insert into an app like 30 Hands. 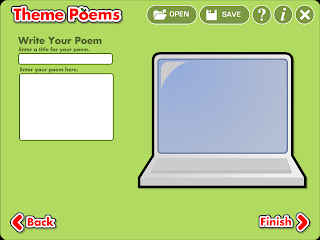 Record narration over each poem, save as a movie file and upload to YouTube or a blog to share with the world! 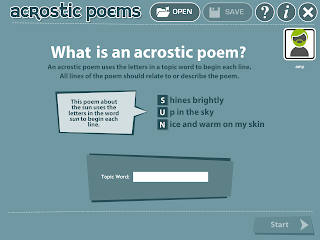 Acrostic Poems - Students type a word and brainstorm words or phrases that explain or relate to that word. 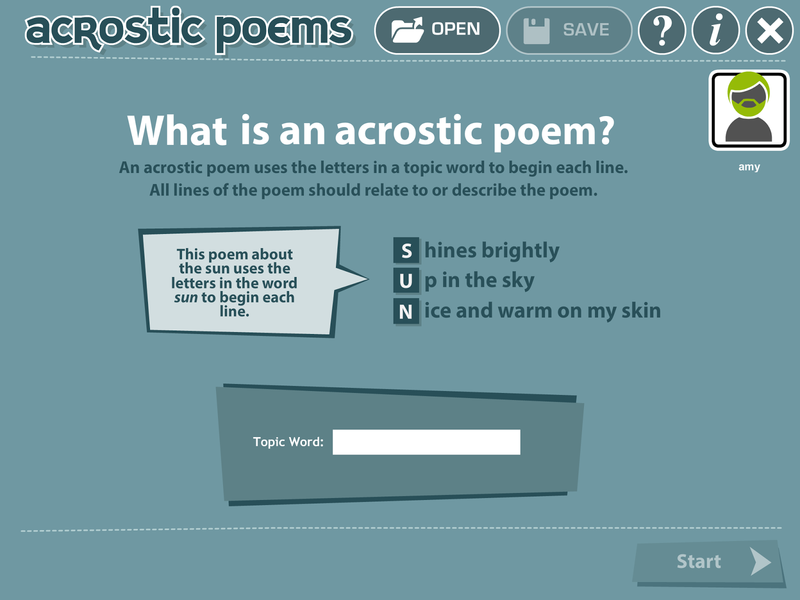 Then create an acrostic poem. 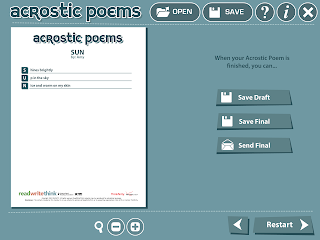 The app does all the formatting. Students can save as Draft, save final product to the camera roll or email it. 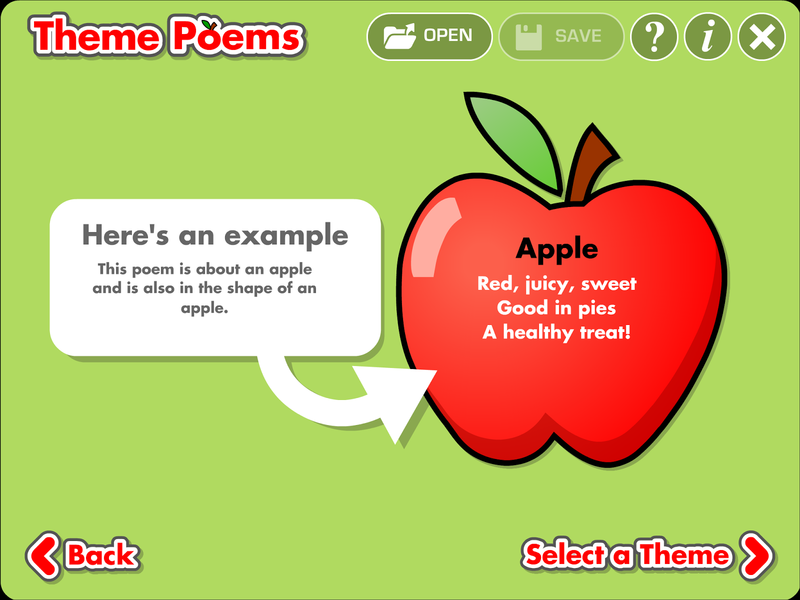 Formative Assessment strategy "First Word/Last Word" to check for understanding about a topic. 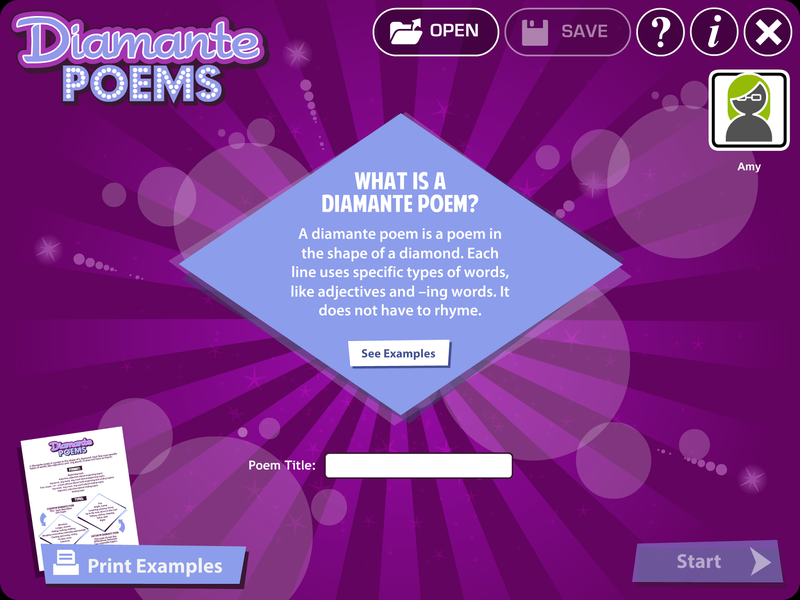 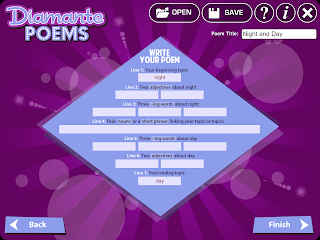 Diamante Poems - Diamante Poems are kind of like mad libs. 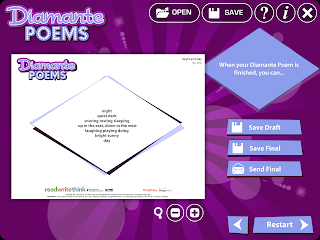 The poem is in the shape of a diamond with specific types of words on each line. 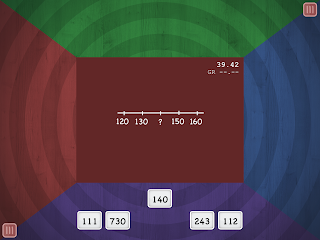 The app has a template that students fill in. The app does all the formatting. 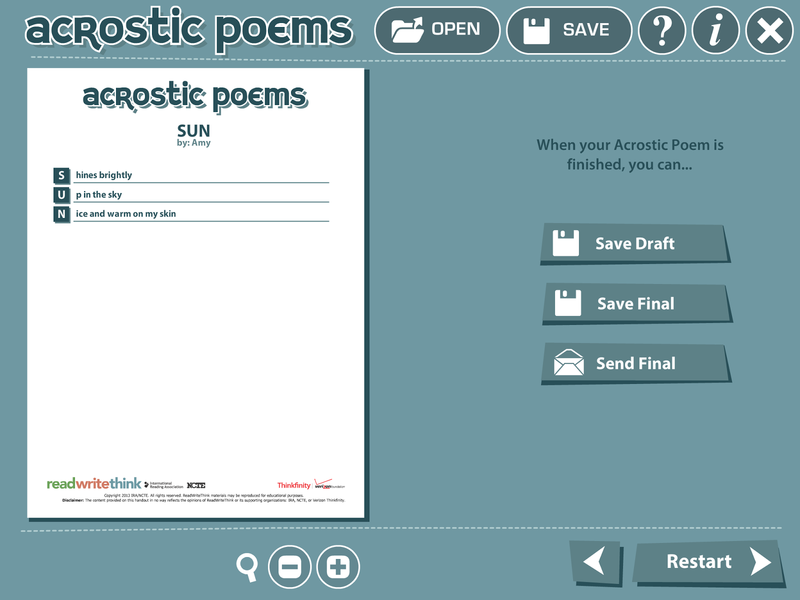 Students can save as Draft, save final product to the camera roll or email it. 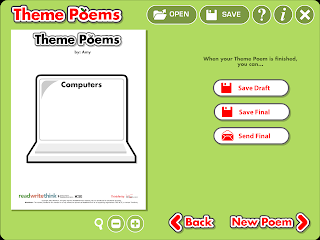 Theme Poems- Theme Poems is a little like the Stationery Studio software on the computer. 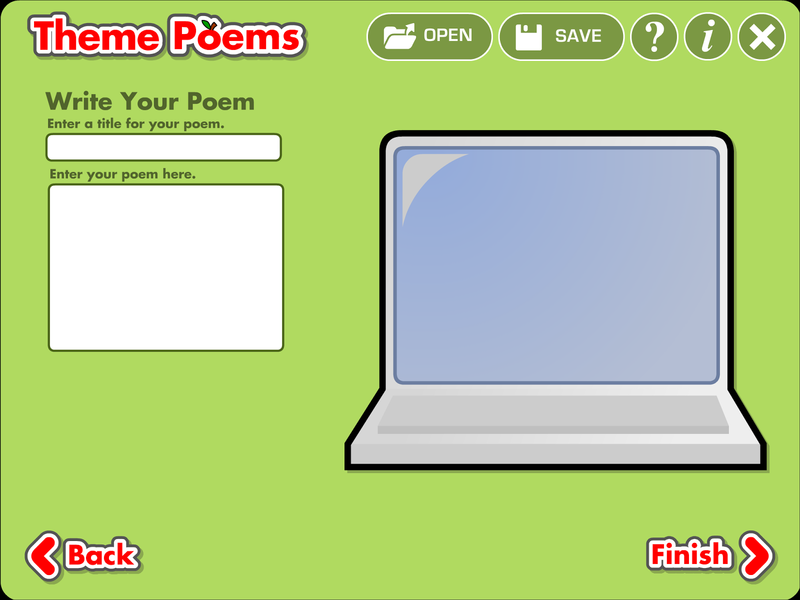 Students write poems in a chosen shape. 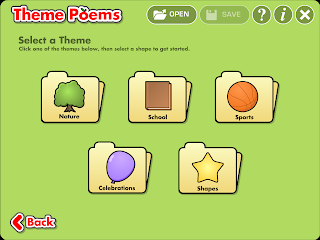 There are 5 categories with 4-8 options per category. 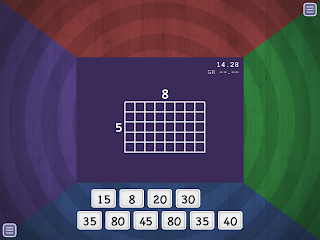 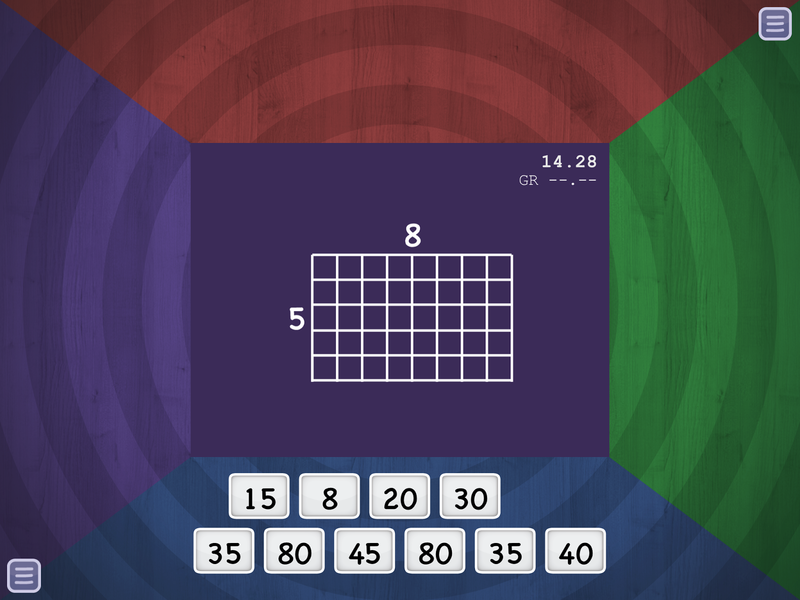 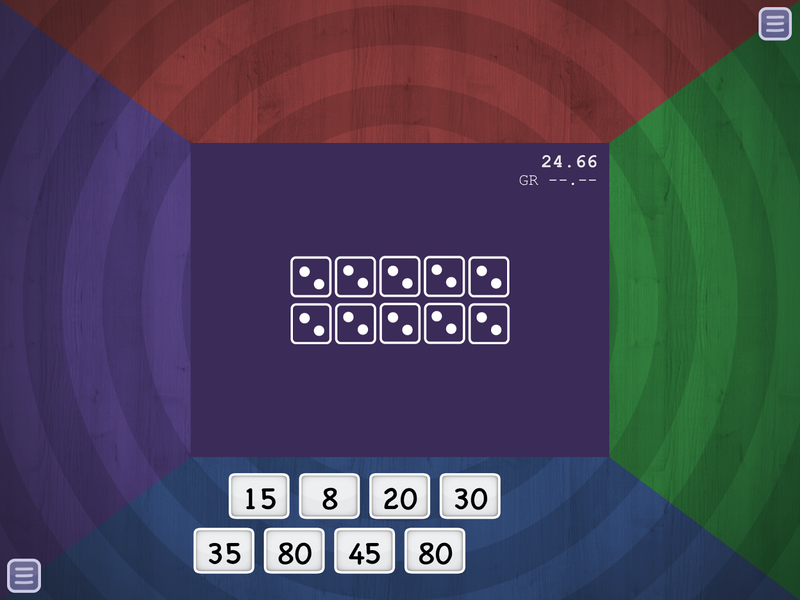 The free Math Slide apps are great for elementary students to practice number recognition as well as basic number facts (addition and multiplication). 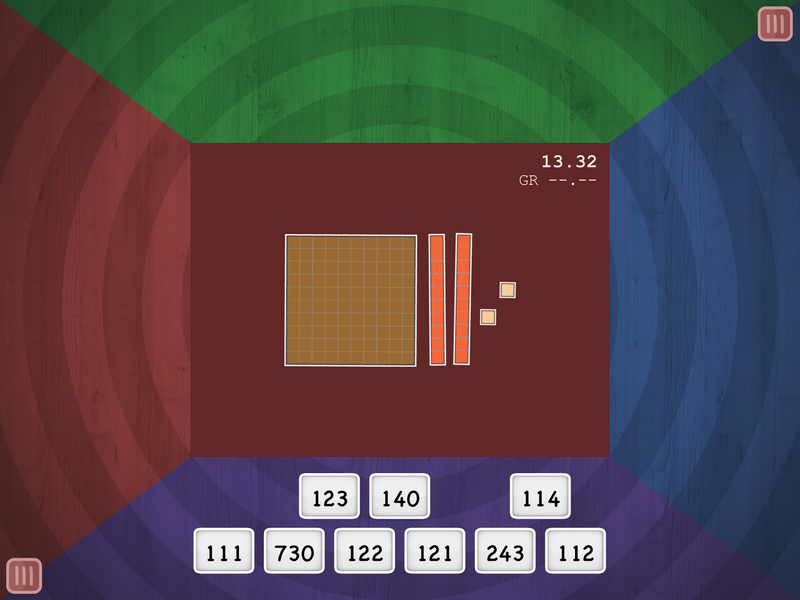 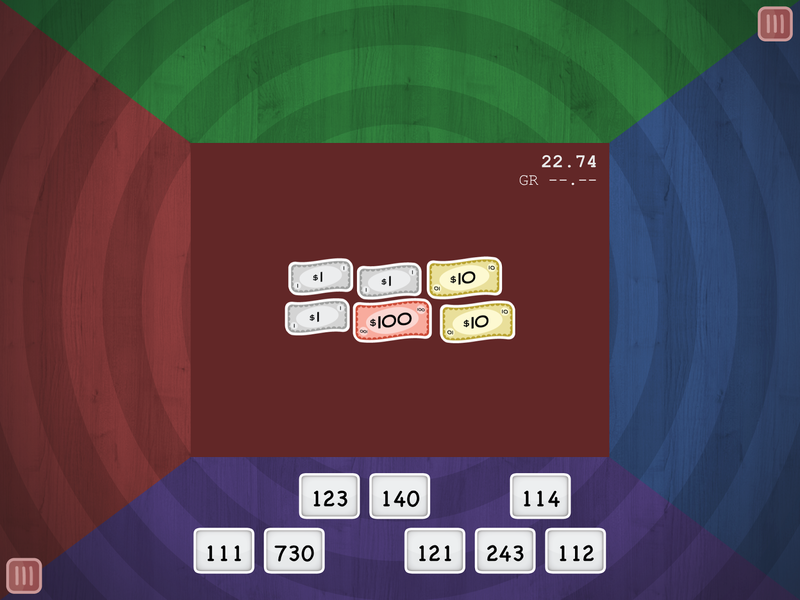 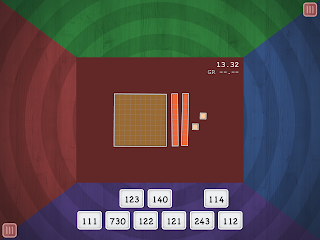 The free version of each app has 10 games that can be played by 1-4 players at a time. 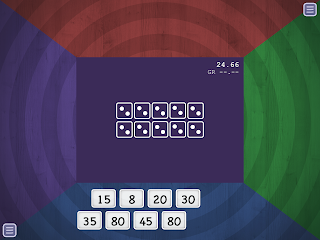 Students can compete against each other or try to beat their own best time. 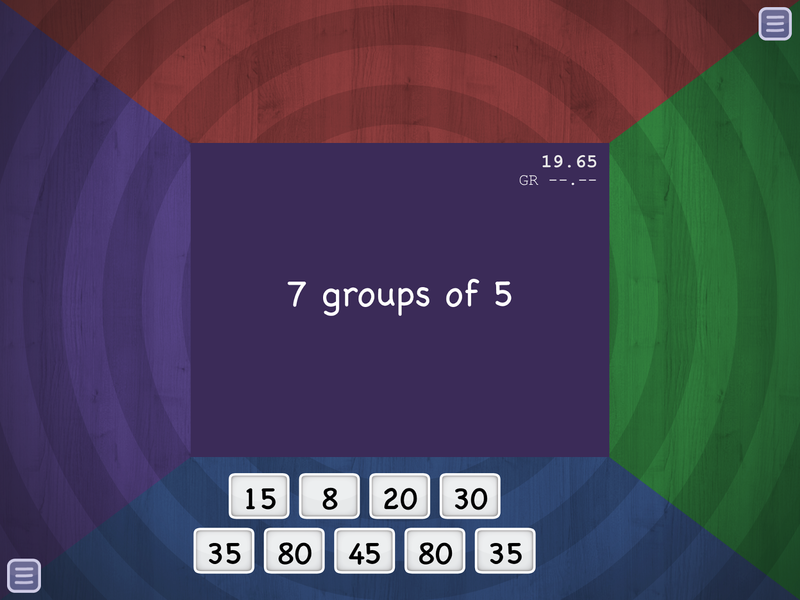 Problems are presented in the center in a variety of formats. 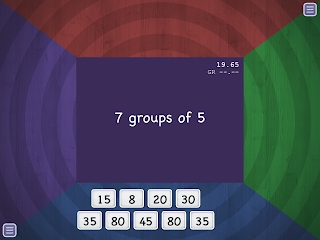 Students drag number card with the correct answer to the center. 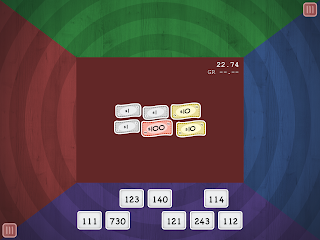 The student who gets their card to the middle first gets the point. 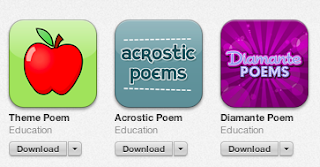 Students love these apps! 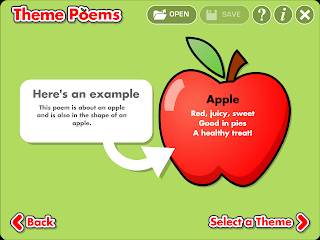 Try them out today!